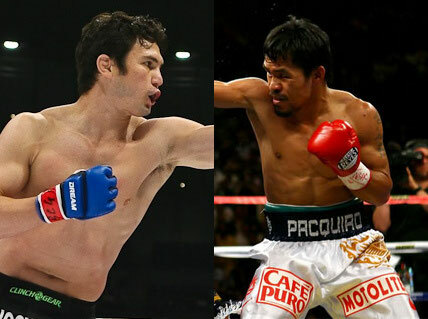 After the No-Way-in-Hell Alert that Manny Pacquiao plans to try mixed martial arts, it seems like someone is willing to give the Boxing King a shot. But it still a thing of the future. Who knows? Karl James “KJ” Noons already muster a 10-2 record in his mixed martial arts career, and may be the only fighter who anchors an akin boxing trail of 11-2 and 5 KOs. Sporting an outstanding transcript, Noons is eager to welcome the Pound-for-pound King of Boxing — Manny Pacquiao — in the MMA. But after that’s all been said and done in the cage, Noons is willing to step inside the ring with him too. If this bout will ever come into fruition, only time will tell. Still, KJ Noons deserves a round of applause as he shows his guts in facing anyone, both inside the cage and the ring. Is it time for fans to realize that boxing and MMA can co-exist? Why UFC Ring is Called "The Octagon"?